Love SiriusXMˆledR; anywhere you are. 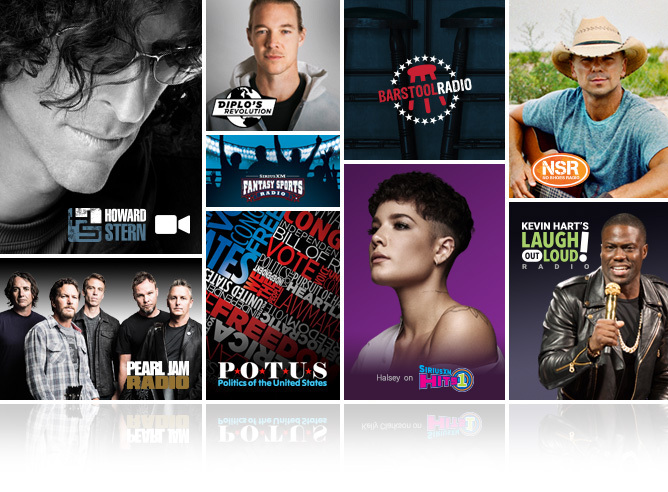 Already have a SiriusXM All Access or Streaming trial or subscription? Login to listen or create a streaming username and password. Over 100 new online channels for any mood, occasion or activity. Enjoy it all on your time. Miss a conversation with your favorite celeb? Wanna hear that concert by a hot new artist on your own time? Enjoy over 5000 hours of On Demand interviews, performances, shows and SiriusXM video. Lose yourself while discovering new artists. So easy. And so you. You’ll get channel and show recommendations based on what you’re listening to. Find them by browsing “ForYou”. Everything’s set up in simple-to-navigate categories for quicker searching. So less time looking and more time listening. 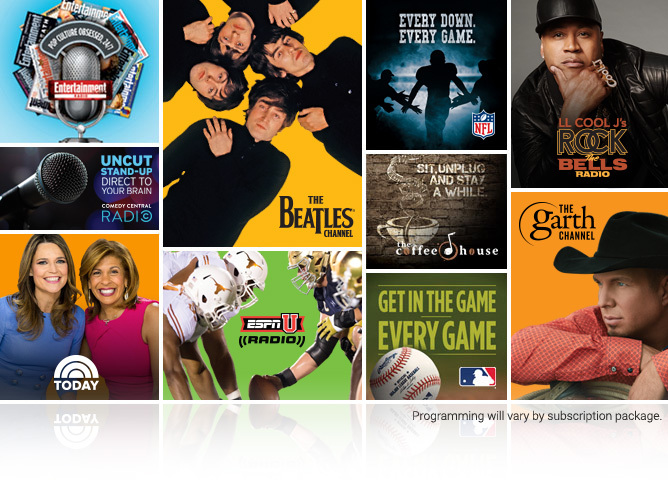 See all your SiriusXM Favorites broken down into Channels, Shows and Episodes for quicker access. Set a notification to be reminded when your favorite show is about to start and never miss a can’t-miss minute. Now your favorites, settings, listening history and more stay in sync across all of your devices, and select vehicles. So you never miss a beat. The ultimate listening experience, anywhere. It’s easy to enjoy SiriusXM at home on tons of devices you may already own. 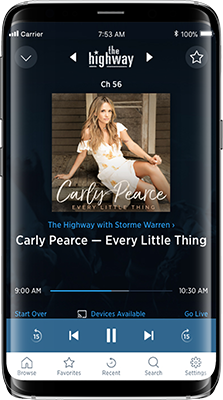 Control it all with your voice on devices with Amazon Alexa, stream SiriusXM from your iPhone or iPad directly to your Apple TV with AirPlay, and much more. Streaming SiriusXM on your connected device is easy! Here's what you need to get started. 1What's new and different with the SiriusXM app? You'll have over 5,000 hours of On Demand shows, interviews and performances to watch when YOU want! You can even download and save videos on your smartphone, tablet or computer. You'll be able to find and favorite what you like in a snap - with a fresh new look and feel! 2 How do I get started streaming SiriusXM? It’s easy to start streaming SiriusXM. Sign up for 30-day free trial. See Offer Details. After 30 days, sign up for a plan that works for you. 3 How can I listen to SiriusXM at home? A SiriusXM streaming username and password. If you already have a SiriusXM streaming username and password, you can proceed to the next step. If not, set up your SiriusXM streaming username or password. Or, if you can't remember your streaming credentials, recover your username and password. The SiriusXM app installed on your connected device. Your streaming username and password can be used on any connected device that streams SiriusXM. Just choose your specific device from the full list of supported devices to find out more details. Satellite and streaming lineups vary slightly. Programming will vary by subscription package. Note: if you have a SiriusXM trial subscription in your vehicle, your trial already includes SiriusXM streaming so a 30-day streaming trial is not required. Simply click on “Listen Now” to start streaming.